The holidays are, in my opinion, the hardest time of year to stay on track. All those delicious treats taunting and teasing you. Don’t lose your momentum now!! 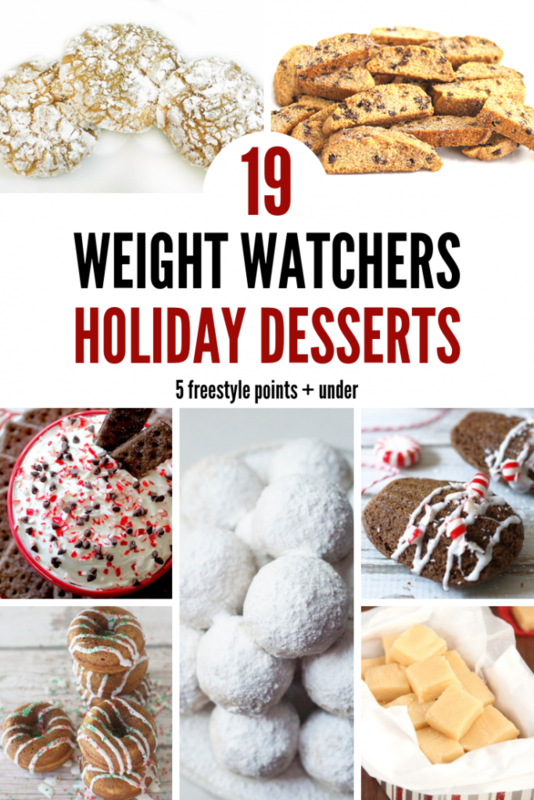 You can still enjoy holiday treats, just make sure you pick one of these low point holiday Weight Watchers desserts. These Weight Watchers dessert recipes come in at 5 points or less which fits perfectly into most daily points. There is something here for everyone. Cookies, donuts, pies, candy, pudding, brownies and more. Dessert recipe ideas that will cure even the most severe craving and still leave you with points to enjoy your meals throughout the day. Remember, we got this! We can make it through the holidays without feeling like we are missing out. 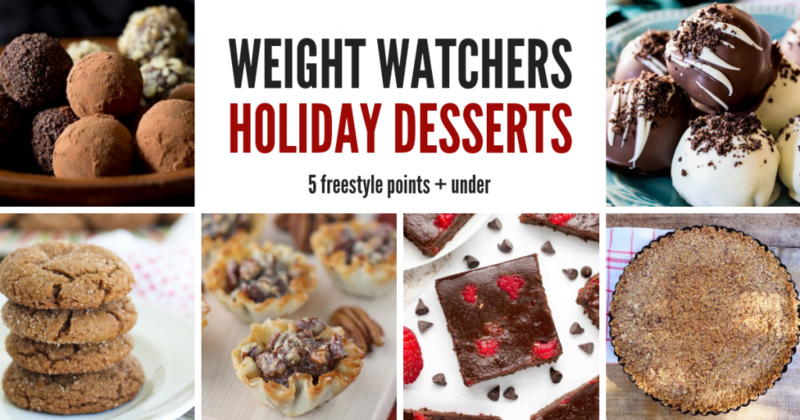 Be sure to pin these delicious Holiday Weight Watchers Dessert Recipe ideas to Pinterest!